Terry was a member of the first graduating class at Brebeuf Jesuit Preparatory School in Indianapolis. He entered the Society of Jesus in 1966 and was ordained a Jesuit priest in 1976. He taught at Xavier University in Cincinnati before moving to East Africa in 1990 where he served as a professor of Theology at Hekima College and Catholic University. From 1990 to 2010, Terry das the National Chaplain of Christian Life Community (CLC- a movement of lay people rooted in the Jesuit tradition and dedicated to living their Catholic faith by serving those in need) in Nairobi, Kenya. Together they co-founded St. Aloysius Gonzaga High School in 2003, a Jesuit-model high school for AIDS orphans in the Kibera slum of Nairobi. Martha is from New Hartford, New York and graduated from Sweet Briar College and Colgate University. She worked in Student Affairs at Georgetown University for twenty four years, retiring as Director of the Center for Student Programs. Her primary concerns were issues around periods of transition and women’s empowerment. Martha is married to David Swanson, who retired from Georgetown after twenty years in finance and they have two children who both graduated from Georgetown. They traveled together to St. Al's first in 2005 on an immersion program sponsored by Georgetown's Office of Mission and Ministry and the Center for Social Justice, and again in 2010 for the opening of the school with an immersion program sponsored by the Chicago Province. They co-chair the Georgetown Friends of St. Al's. Clare has been a licensed Occupational Therapy Assistant for 40 years, and has practiced in both hospital and nursing home settings. 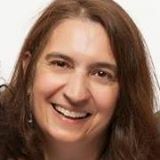 Over the last than ten years, she has used her training in the Orton-Gillingham multi-sensory learning technique to tutor those with dyslexia or other reading and language challenges. Clare has traveled to Panama with an Occupational Therapy Mission team to provide assistance to educators and students in rural communities. This experience, as well as her recent visit to Nairobi, Kenya, has sharpened her focus on the plight of third world youth. She now volunteers at Ten Thousand Villages in Cincinnati, a non-profit retail outlet for artisans from poor communities around the world. Pat is a seasoned trial lawyer and experienced investigator whose practice focuses on internal investigations, government enforcement matters and civil litigation. Prior to joining Skadden in 2012, Pat most recently served as the U.S. Attorney for the Northern District of Illinois. From 1988 to 2001, Mr. Fitzgerald was an Assistant U.S. Attorney in the Southern District of New York. He served as lead counsel in the investigation, prosecution and seven-month trial of United States v. Usama bin Laden, et al., in which multiple defendants were charged with and convicted of conspiracy to murder U.S. nationals overseas and the 1998 bombings of the U.S. embassies in Kenya and Tanzania. Pat is a fellow of the American College of Trial Lawyers and is a distinguished lecturer at the University of Chicago Law School. He is also a member of the board of trustees for the University of Illinois. Pat and his wife Jennifer have 2 boys and live in Chicago. Pat is a graduate of Regis (Jesuit) High School in New York. Jeff is the Regional Director for the Chicago area for the Midwest Jesuits. He and his wife Anne not originally Chicagoans however have lived in and around Chicago for the past 30 years. They have 4 children Tom – 25, Michael – 19, Grace – 17, and Liam – 14 and live in Oak Park. Anne also works for the Jesuits at Loyola University. He is a graduate of John Carroll. His oldest son is a graduate of St. Ignatius Chicago and Marquette U, and his son Michael is currently a sophomore at Xavier University in Cincinnati. Jeff has worked with the Jesuits for over 20 years including his current work at the province, and 4 years at Loyola Academy and St. Ignatius. He has been working with the Jesuits of the Eastern Africa Province for the past 13 years – since the schools inception and has traveled to Nairobi 4 times to see the great work and to assist in fundraising for the ministries. Cedric is a Kenyan raised in Mombasa (a small Island along the East African Coast). He graduated from the University of Zimbabwe with a B.A in Philosophy. Cedric is currently studying for a J.D at Georgetown Law Center. He previously worked as the Assistant Director of Advancement for St. Aloysius Gonzaga Secondary School. Cedric founded the Junior Board for the School of Hope Foundation. Marjory is a connector of people and ideas. In April 2016 she became the Director of the Science, Technology, and Policy Program at the nonprofit RAND Corporation after three years as Executive Director of the President’s Council of Advisors on Science and Technology (PCAST) within the White House Office of Science and Technology Policy. Previously she spent ten years as Associate Provost, Academic at Georgetown University, during which time she visited St. Al’s (2010), participating in the opening of its new school building, and oversaw diversity initiatives. She has served on numerous advisory bodies and received multiple awards over the course of her career. Charles serves as Associate Vice President for Benefits and Payroll and Chief Benefits Officer for Georgetown University. Before joining Georgetown in 2006, Mr. DeSantis was VP for Operations and Chief Operations Officer at PacAdvantage, a non-profit company providing health care benefits to small businesses in California. Prior to that, he served as Associate Director of Benefits Services at Stanford University, Senior Director of People Services at Gap Inc., and worked with the Federal Reserve for 12 years. His distinguished history of service to charitable organizations includes serving on the Board of Directors for Stepping Stones Growth Center, which serves the developmentally disabled, and as the Georgetown University employees’ credit union. Mr. DeSantis is active in raising funds and creating programs for underserved children and families in Africa, particularly in Kenya. He developed an arts education program for high school-age AIDS orphans in Nairobi’s Kibera slum, the largest in Africa, served on the board of Nyumbani, a Kenyan orphanage for children with HIV/AIDS, and also served as an advisory board member for the Children of Kibera Foundation. Rosemary has been Georgetown University’s first vice president for Institutional Diversity and Equity since 2006. Before coming to Georgetown as the special assistant for affirmative action programs, she served as the assistant dean for graduate recruitment at Kent State University, where she developed a national program to increase the representation of Black graduate students. She then served as the director of affirmative action programs at State University of New York at Albany. Rosemary has given many seminars on topics such as Cultural Diversity, Sexual Harassment and Legal Issues in Affirmative Action. She was one of five Americans invited to give a presentation at Faith University in Istanbul, Turkey on social justice in higher education.. She has previously served on the Board of Directors of the American Association of Affirmative Action, Howard Road Academy, the Discovery Creek Children’s Museum, and National Child Research Center. Rosemary holds a JD from Georgetown University Law Center and Bachelors and Masters degrees from Kent State University. Ken recently retired after 26 years as Executive Director of Barnes & Thornburg, a 550-lawyer national law firm headquartered in Indianapolis. Prior to joining Barnes & Thornburg, Ken was Indiana State Budget Director. He is a graduate of Denison University and Ohio State University. Between college and graduate school, Ken served as a Peace Corps volunteer in Kenya and currently serves on two not-for-profit boards supporting education and health care programs in East Africa. Mark recently retired after serving as the Midwest Jesuits Regional Director for Advancement in Cincinnati since September, 2005. Mark, a life-long resident of Cincinnati, is married to JoAnn and they have three grown children, Susan, Jeff and Danny. Mark has traveled to Peru with a St. Xavier Parish group in 2009 and participated in the East Africa pilgrimage in 2014. He looks forward to sharing and again experiencing the wonderful work of the Society in Peru. Dan, a Jesuit priest, currently lectures in Medical Ethics at New York Medical College and is is an adjunct professor in the Master of Anesthesia Education Program and the Master of Health Care Management in the Graduate School of Business Administration of Gonzaga University in Spokane, Washington. 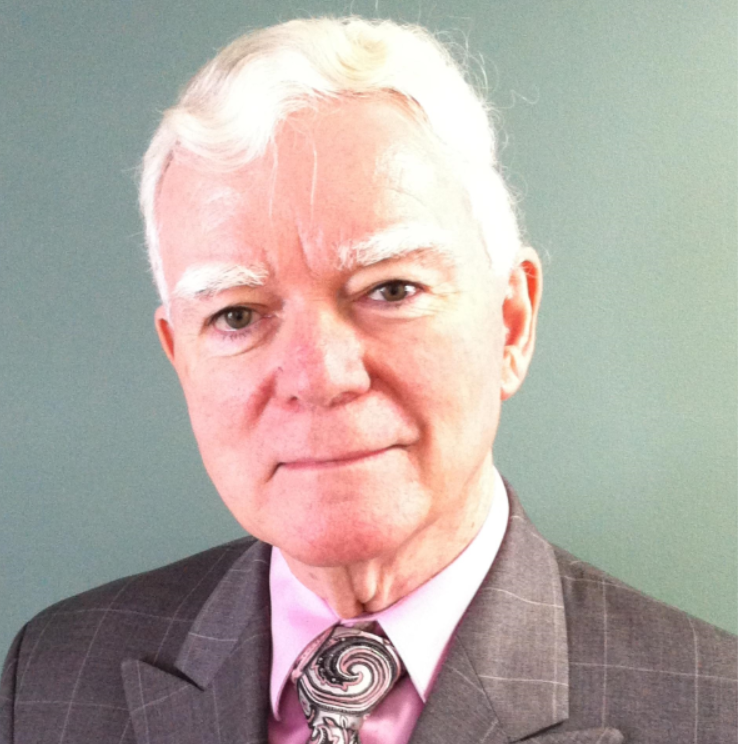 Dr. O’Hare also participates in the ACGME curriculum for medical residents in the Connecticut and regularly lectures to nurses, respiratory and physical therapists, and mortuary science students. He is the consultant ethicist to several hospitals and health care agencies and previously held the position as the first institutional ethicist at Memorial Sloan-Kettering Cancer Center in New York. He has published in the areas of Ethics, AIDS, and Physician-Assisted Suicide. A frequent speaker, both nationally and internationally, Dr. O’Hare was awarded a Visiting Professorship in Ethics in Australia and was named a Harris Fellow by the American Bureau for Medical Advancement in China, lecturing extensively at medical and nursing schools in Asia. Most recently, he presented at an international congress on palliative care in Berlin, Germany. Serving on many boards, he was also invited to join that of the Foundation for Hospices in Sub-Saharan Africa. In addition, with over thirty years’ experience with terminally ill patients, their families, and loved ones, Dr. O’Hare has been involved in grief counseling and conducts a bereavement series through the auspices of a number of funeral homes in the New York area. Fr.Dan acts as the Spiritual Director for the annual pilgrimage to visit St. Aloysius. Bud stopped working in a job which paid monetary compensation about 11 years ago and now is involved with several volunteer organizations. He was a financial/operations executive with a pharmaceutical company previously and parleys that experience for the activities on which he now works. He has several other avocations including pottery, fishing, traveling and reading (mostly fiction). He lives with his wife of 39 years on a small lake, which provides great scenery and opportunities for boating and occasional fishing. Two of his three children live close by with their families, so he gets to see them reasonably frequently. It’s a wonderful life. Cristine recently became the first Director of School of Hope Foundation. She has been a Community Organizer in the Chicago area for the past 20 years working to build local leadership and civic engagement. Cristine was born and raised in Chicago, and she and her husband Patrick have two sons, Joseph (13) and Alec (4). She is a graduate of the University of Michigan and has a Masters in Social Work from the University of Pennsylvania.